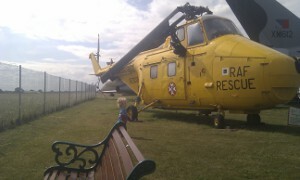 The other day I took Matthew to the museum, to look at the planes. He is starting to become interested in all things mechanical, as well as animals and natural history. 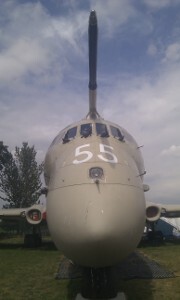 The museum's Nimrod, from up close. Watching a butterfly by the fence. 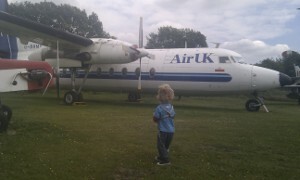 Matthew admiring the Fokker F27 Friendship. Some BAe146s stored in the airport boneyard. There were also some former Air France F70/F100s there last time I went past, but they have been removed. Further information about the museum can be found here.